In order to handle the crises of a modern world, the Japanese government creates the ARK Project, which utilizes sophisticated robots to solve problems that human beings simply can’t. The project’s lead scientist, Dr. Komyoji, creates a prototype android named Jiro to peacefully assist humans. However, rival scientist Gilbert Kanzaki has other, darker plans. Mitsuko and Masaru, Komyoji’s children, become targets after his unexpected death, prompting a super android with a humanistic soul to come to their aid. 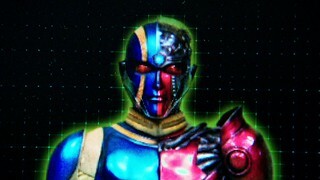 Kanzaki then creates his ultimate vision, a powerful cyborg called Hakaider, destined to rule a world of ruin and chaos! Here’s something a little outside our usual wheelhouse, but since Gaim set it up, and the US release of the movie was only put on DVD, I thought why not do a BD encode? So, here we are. These are the subs from the US DVD with some minor tweaks, such as revising the name order and some slight grammar adjustments. Kouta and Mai meet a young man who can remember nothing about himself other than his name, Jiro. During a rain storm, Kouta tries to pull Jiro out of the rain, but noticed his hand feels like metal instead of skin, bringing up the question if Jiro is a robot. 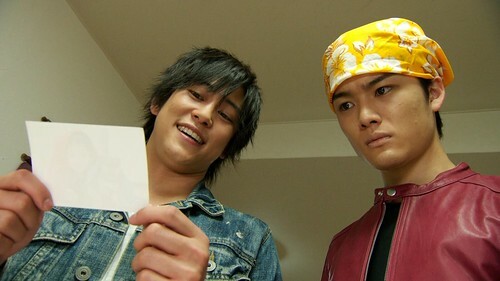 Elsewhere, Ryoma looks over the schematics for an android developed by a colleague. Its model name is Hakaider.